My latest creation – Go ask Alisa – DIY capsule wardrobe one stitch at a time! It has been a long run without posting a single word in last two weeks. All because I was busy with bringing some holiday cheer to the house and my latest sewing projects. Yes, that’s the time of the year when I have the enormous amount of inspiration on creating over and over again. 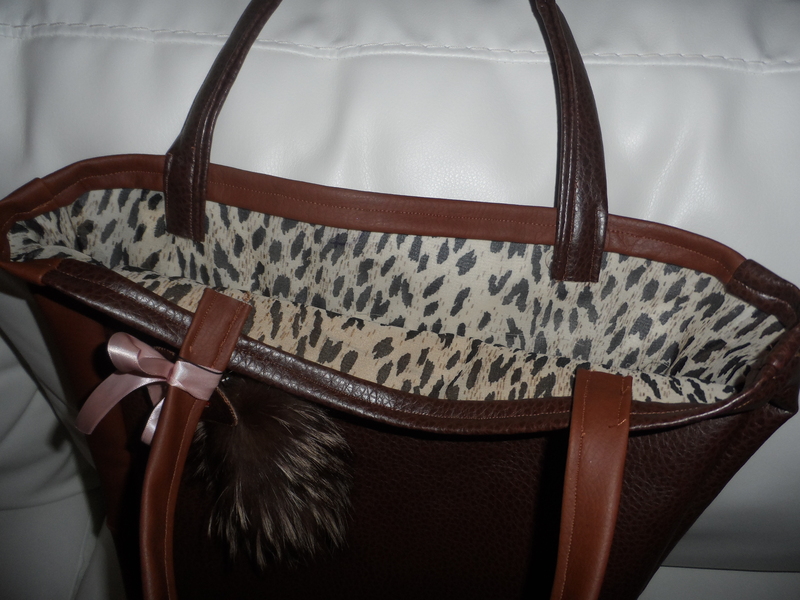 Here is the tote (a big large handbag) that I made recently. Material is fake leather of two tones: lighter and darker brown. I especially like this one because it can easily fit my computer, sports/yoga items, it looks great and sophisticated at the same time with some more formal-like outfits. Enjoy! And that’s a heart-shaped key tag, that someone very special made for me. Hand made, of course. Nice talent you have there!